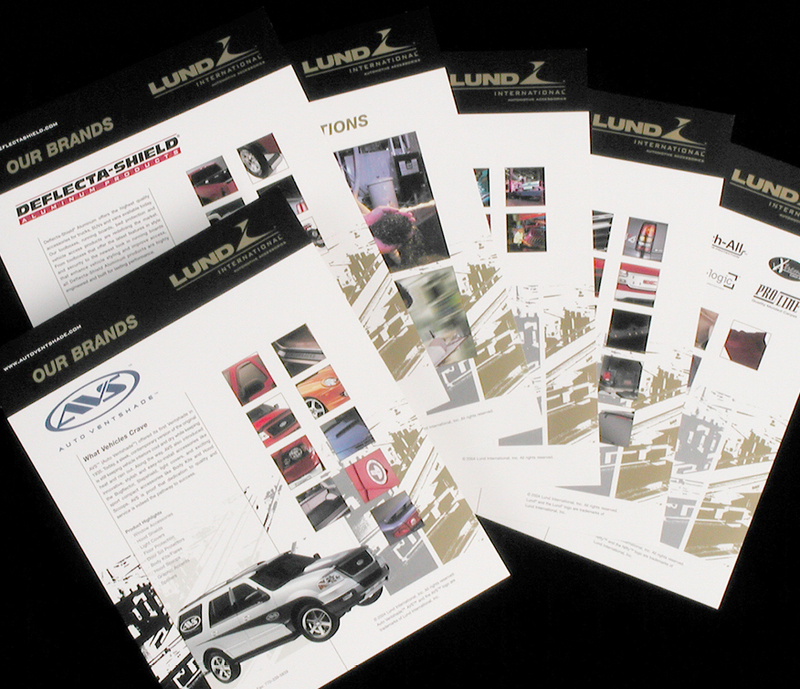 Lund International - DoubleTake Design, Inc.
After acquiring seven companies in the trucking and automotive accessories industry over a period of three years, Lund International was left with myriad company values, brands and product lines with little organization or clarity as to how those brands fit together. At its core was an identity crisis of corporate-wide proportions, involving more than 1,000 employees. The company had experienced so much growth so quickly there was internal confusion as to whom people were working for. There was external confusion, too — when salespeople from the various brands would attend the same meeting, everyone produced different business cards and did not appear to work for the same company. 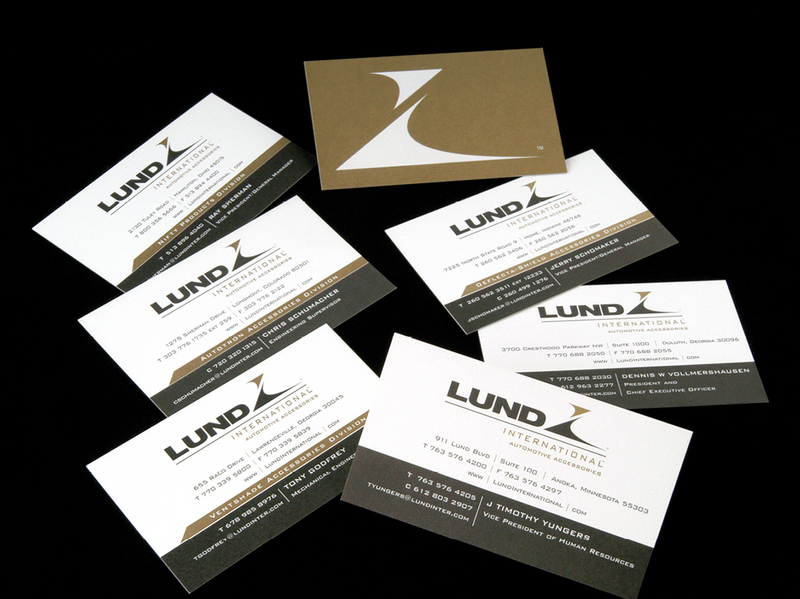 The director of marketing had the challenge of uniting divisions with fierce brand loyalty under the Lund International umbrella without upsetting the unique cultures that made each brand so successful. 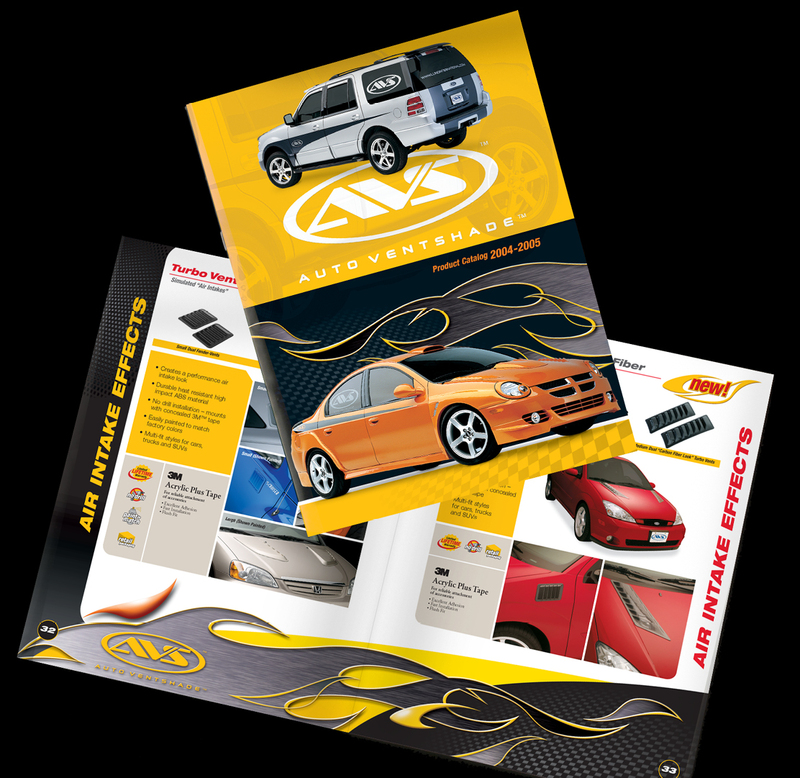 DoubleTake Design was called in to redesign the parent company logo and create new marketing material. We quickly realized that a new logo would not solve the confusion that arose from the mergers and acquisitions — the company needed research and strategic direction before any design work or content development could begin. 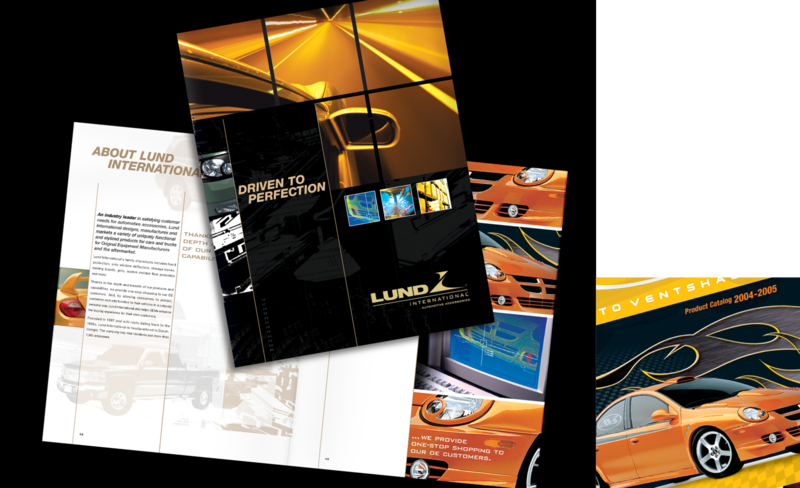 We worked with brand-strategy partners to identify and create an overall brand architecture that made sense to Lund International’s various customers, distributors and even internal product developers. In order to understand how the various brands were perceived, we knew we needed to become an integral part of the marketing team, getting in front of Lund International’s key internal and external stakeholders. We began by interviewing internal team members. Then, we attended a large national trade show with Lund International to become immersed in the brand’s culture and talk to some of their key customers. 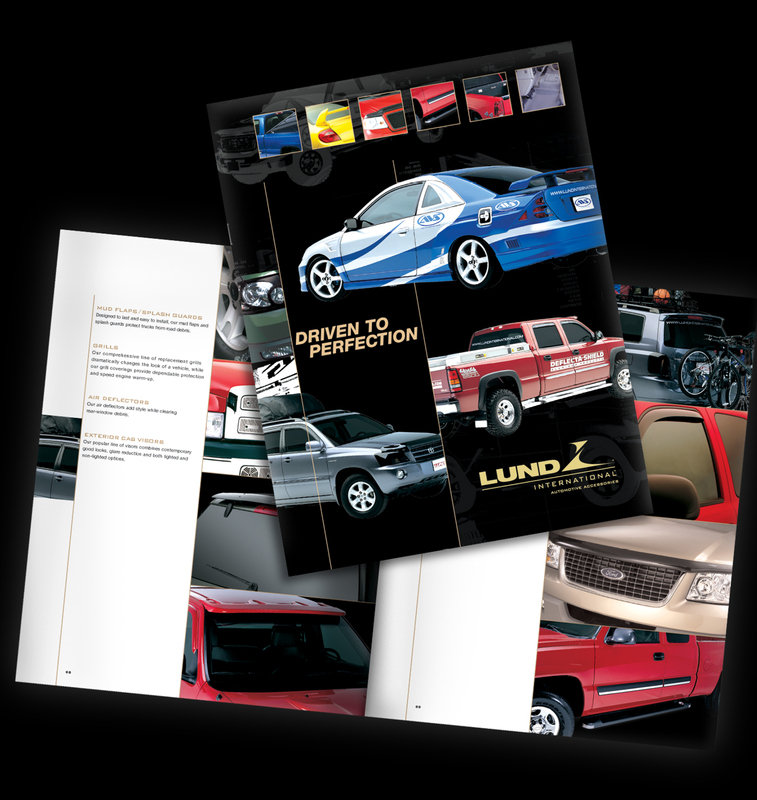 We wanted to understand how each of Lund International’s product brands should be used to differentiate all of the product lines, acquired and existing, and really discern the customer needs and purchasing desires for each brand. We then met with the leadership team, headed by the CEO and including all of the VPs from across the country and the marketing team, for an in-depth session reviewing what we had learned from customers, employees and other stakeholders. Together, we deciphered the key points of brand distinction that were needed to create internal and external brand clarity. Finally, we worked with the leadership to create a decision tree to help Lund International’s product developers know which brand to use to go to market with new products. 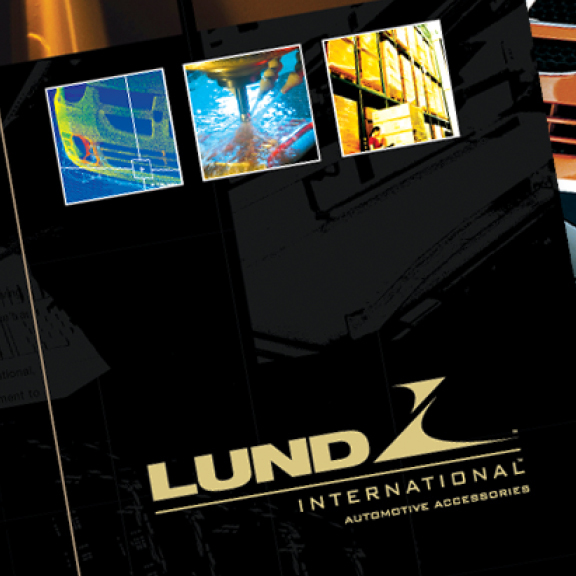 By truly working as a partner in this process, immersing ourselves in Lund International’s marketplace and getting to know the company’s goals, employees and customers during our research phase, we were able to become an integral part of the marketing team and tackle the confusion customers were facing. 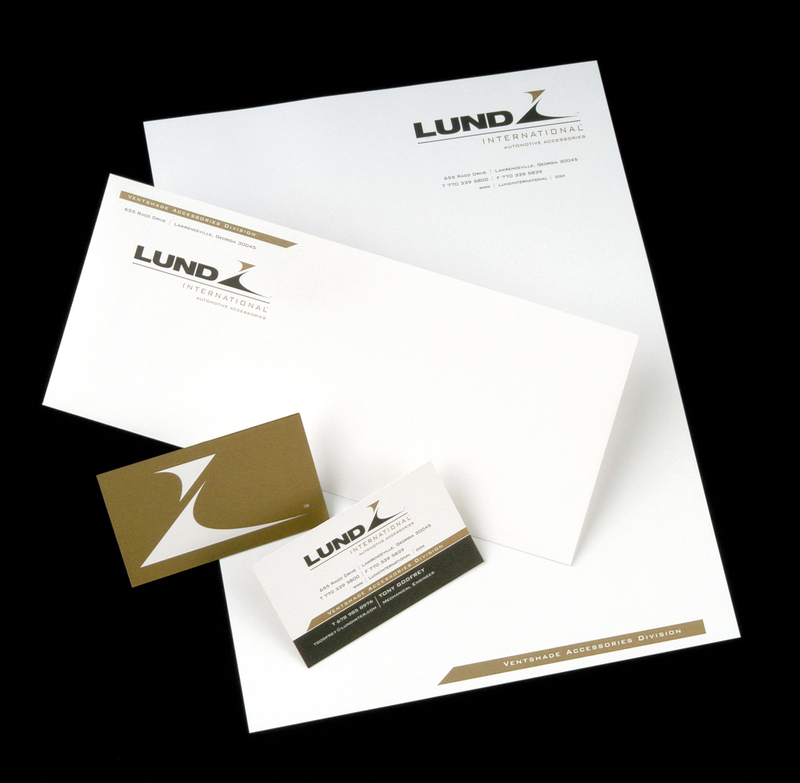 Creating clearer brand identities for Lund International’s portfolio resonated most among Lund’s key customers as well as their relatively new employees, positioning Lund International as a powerful and cohesive brand primed for growth in the marketplace. 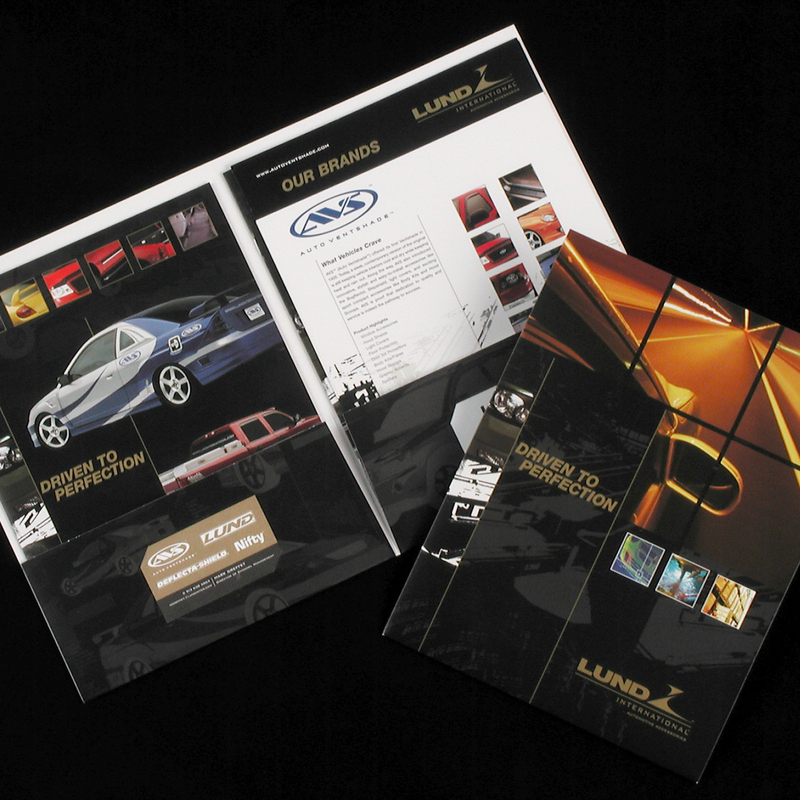 We were then able to create marketing materials that spoke clearly to the customers’ needs and a visual identity system that accurately reflected Lund International as a leader in automotive accessories. Want a truly collaborative branding experience?